The Ever so Strange Animal Almanac | A Compendium and Bestiary of the Unusual and Bizarre. A Compendium and Bestiary of the Unusual and Bizarre. WE’VE MOVED COME SEE THE PIGBUTT WORM’S CHUMS OVER HERE! The ‘pigbutt worm’ or ‘flying buttocks’ is a naughty looking creature newly discovered in the oceanic abyss. There is very little we can tell you about this delightful derriere as we’ve only discovered it and it lives so damn deep in the ocean. We at The Proceedings are of course men of science, and like to deal in truths. All we can really say about the pigbutt worm is that we are rather fond of it. In fact for the above reasons it’s fair to say we like pigbutts and we cannot lie. 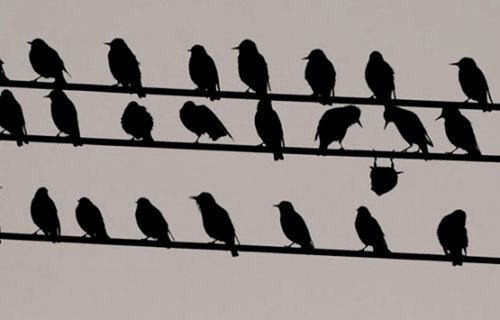 … are you doing here man! We’re over at The Proceedings! ... what the devil do you think you're playing at man? Join us over at The Proceedings of the Ever so Strange! We’re finally settling down on to a proper grown up website, to show our new found maturity there is a serious piece on The Toilet Plant. The Greater Argonaut and his rather mobile member can be found over at Vol II! Huzzah! There’s a rather cheeky young lady for your delectation over at Vol II! WE’VE MOVED! COME AND SEE US HERE YOU BIG SMASHER! One knows by now that you are a rather erudite bunch, so we don’t need to tell you that in ant society there are a number of castes; workers to bob out to get food, soldiers to deal with any oi polloi, the males that fertilize the queen who lays all the eggs. Well dear readers may we introduce you to another caste you may not have heard of… the lazy fat buffoon. As ants don’t have any household staff to ensure a steady supply of pickles and dried meats through the winter months they have instead evolved a living pantry. 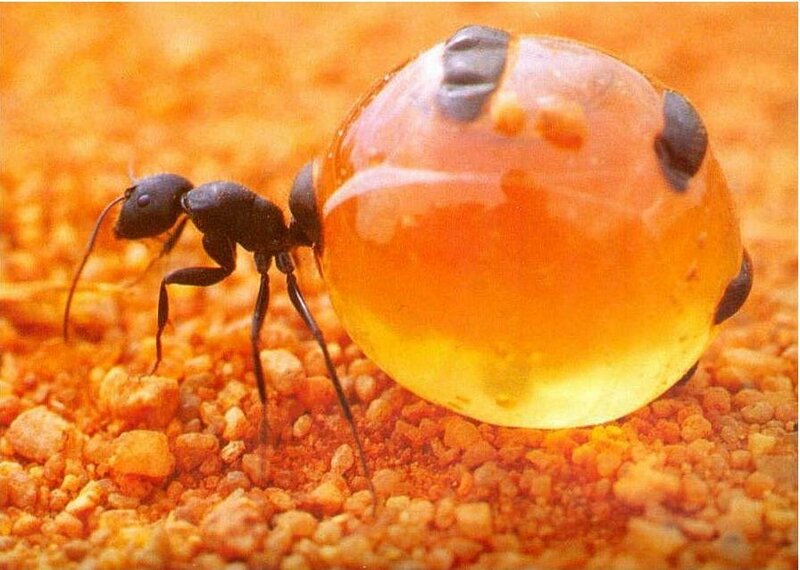 The fat belly of some of the honey pot ants swells to the size of a grape, and is full of goodies and liquid to help the nest through any ‘dry’ spells. Expect a full write up on these little bloaters in Volume II soon enough, in the meantime if you’d like to hear more may we recommend this delightful tome. “Like” our new book of faces page! Because there is no option for “Meh”. American Chums! Do you have a wobbly desk? Worried that your local second-hand charity emporiums are insufficiently stocked? Then may we be so bold as to suggest you buy this book! In 1807 Jules Sébastien César Dumont d’Urville failed the physical test to get into the Ecole Polytechnique and was soon esconced in that bunch of ne’er do wells… the French Navy. There the legendarily unhygienic sailor rose through the ranks and sailed the Seven Seas. His career was illustrious, most notably his discovery of the famous Venus de Milo statue in the Greek Cyclades. Years later the fragrant Frenchman set foot in the Antarctic. There he set eyes on a rather sweet and diminutive penguin and promptly decided to name it after his wife; Adelie. Sadly for Dumont this rather romantic gesture was about as successful as a French naval campaign… as it turned out that the female adelie penguin was a trollop. I didn't say that dear, it's just that he's rather ... brown ... a bit like George next door. The adelie penguins live on the Antarctic beaches, where once every couple of years unseasonably warm weather hits. This would of course be good news on most beaches but the icy plains that the penguins call home are subject to floods, the warm spell melts the ice and the whole place is awash with mud and guano. Not the ideal environment for bringing up junior. So how does this turn a penguin into a harlot I hear you cry? Bear with me good reader, you see the adelie have found a way of keeping their seed in good shape by building stony nests to elevate their egg. These stones are not that plentiful, so there are some mighty squabbles over them. The stronger males eventually take the most pebbles and build the best nests. When the female adelie return from the better part of the year at sea, they will choose a mate and soon steer towards the strong provider penguin who has proved himself by building up a good tall nest … but that’s not the end of the story. As we have said the female adelie penguin is quite the strumpet. It seems that as soon as hubby’s back is turned she is getting rather game with the neighbours, those males who haven’t had any success at finding a mate. In return for a frolic with a filly the bachelor penguins are rather happy to pay… the princely sum of one pebble. The adelie penguins are the only example of prostitution in all of the birds. In fact, some of the more amorous female adelies have been observed prostituting themselves over 62 times in a breeding season. Of course there is no record of Jules Sébastien César Dumont d’Urville’s wife Adelie Dumont being anything like her penguin namesakes, though it has been noted by more than one learned gentleman that she was of French origin.